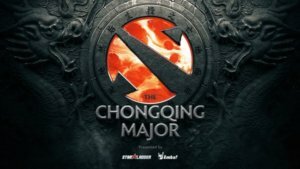 After months of anticipation, a controversial banning of one of the participating team’s members, and even more smaller issues, the Chongqing Major 2019 is finally ready to start. From January 19 to January 27, sixteen teams from the six competitive regions in Dota 2 will compete at the BLOOMAGE Cultural and Sports Center in Chongqing, China, for a chance to take home the trophy, a massive chunk of the $1 million prize pool, as well as a huge portion of the 15,000 DPC points that’s also up for grabs. Played on a relatively new patch, and with most teams just itching to show off their latest strategies, we’ve got one heck of a week of Dota 2 ahead of us. Which Teams are the Betting Favourites to Win? With 16 of the best Dota 2 teams in the world playing at the tournament, singling out a heavy favourite won’t be easy, let alone a couple of them. Especially when given the current state of the meta where it’s relatively new and there still exists plenty of unknown strategies that weaker teams could use to pull off an upset against some of the best teams. As per the latest outright betting odds, however, five teams stand out from the rest of the pack: Team Liquid, Virtus.Pro, Team Secret, PSG.LGD, and Vici Gaming. They’re the five-time Major champions. That’s all you need to know about them. The Russia-based organization have absolutely been tearing it up over the past two years or so, and they haven’t shown any signs of stopping. Although they have encountered a couple of bumps on the road, they remain a top five team at their worst, and there’s nothing indicating that we won’t be seeing them at their best at the Chongqing Major 2019. That’s a scary thought for the teams they’ll be facing at the tournament. Easily one of the more inconsistent of the top-tier teams, Team Secret owes more of their losses to themselves than their enemies. With a tendency to get too complicated with their drafts and strategies, Team Secret have lost so many winnable games simply because they tried to experiment just for the sake of experimenting. The current lineup, however, has all the right pieces to make all kinds of experimental drafts work. PSG.LGD might not have had a good start to the season, but they remain the team to beat in China unless otherwise stated. With Yao “QQQ” Yi back in the fold plus the months they spent earlier this season learning how to play and draft among themselves and the home crowd behind them, PSG.LGD are a shoo-in to secure at least a Top 4 finish. Even when short an Amer “Miracle-” Al-Barkawi, who won’t be playing at the tournament due to personal reasons, Team Liquid remain one of the heavy favourites to win the Chongqing Major 2019, and for good reason – they are that good. Led by the legendary Kuro “KuroKy” Salehi Takhasomi, Team Liquid’s main strength lies on their collective strength, and not in the brilliance of just one player, regardless of how widely regarded Miracle is by fans and his peers. Besides, their stand-in, Chu “shadow” Zeyu, is as capable as a replacement can be, with a TI already under his belt and skills that make him easy to fit in with the rest of Team Liquid. Expect KuroKy to use every tool at his disposal to try and secure as many DPC points as possible at this tournament – even if that means choosing Broodmother over and over again for Lasse Aukusti “MATUMBAMAN” Urpalainen to play in the middle lane. The youngest of the five teams we featured on our list of heavy favourites, Vici Gaming arguably has the most talented roster in all of China, starting with the young core duo of Zhang “Paparazi” Chengjun and Zeng “Ori” Jiaoyang. While this particular lineup has not had much success against international competition – and historically, Vici Gaming has had a tendency to come in second place — they have been dominating domestically, and given the elevated level of play in an already stacked Chinese competitive scene, Vici Gaming might just use the Chongqing Major 2019 to prove that they belong among the upper echelons of Dota 2. Are there Any Dark Horse Teams to Watch Out for? With 16 teams playing at the Major, and a double-elimination playoff format that’s built to encourage surprise runs, there are plenty of teams that could pull off a Cinderella run. If we’d have to pick out just one team, though, we’d have to go with EHOME. EHOME have shown that they have a good grasp of the current meta, winning the Bucharest Minor while dropping only a single game all-tournament long. Even if that was against relatively inferior competition, the point remains that they looked heads and shoulders above the rest of the lower-ranked teams. Does that mean they’re contenders yet? We don’t know. But we’ll know soon enough by how well they perform at the Chongqing Major. Other teams to take note of are Evil Geniuses and Fnatic, who both boast an excellent mix of talent and experience on their current rosters. Not to mention, the former are just a couple of months removed from making a strong run at The International 2018, going home with a third-place finish despite sporting a relatively new roster. For those willing to take an even bigger risk, teams such as J.Storm, ThePango and Alliance are worth a look. They’re all scrappy teams loaded with a bunch of talented players on their roster. In particular, J.Storm recently welcomed Clinton “Loomis” Fear to their lineup, which means a lot in terms of this team’s stability and how this team likely won’t crack under pressure. In any case, with more than a week of play and dozens of games scheduled, we’ll see the meta dissected and exploited in more ways than we could possibly ever imagine at the Chongqing Major 2019. That means we should see a variety of strategies and picks come into play, which could give way for unexpected match results and upsets. So, make sure that you do your research and bet wisely. Also, don’t forget to check back every now and then once the playoffs start for the latest updates.